Register as a participating publisher or come and explore what the world of small, independent, micro and mini presses has to offer. Two hours tonight of me spinning CDs and playing tapes for Highland Radio on CHSR 97.9 FM. Yeah. It went by so fast. I know I could have done more hours (& I will!) I'm the on-air host on the games site [51 Woodstock Rd, Fredericton, NB] as of 9 am tomorrow, Sunday, 27 July. What I played tonight is listed below. It's a real lively great mix (if I say so myself) of trad and non-trad Scotish and Celtic music, plus some Celtic-inspired folk or folk-rock and poetry. afterwards, i spent longer walking about downtown looking for one of the posters . . . not that i want to trade landtoads . . . [sorry, oh, noble toads of the east, i don't mean to slight you, so maybe i should say, "sandturds"] but i was looking for some of the other somewhat catchy marketing campaign's info. So: 1 plunger = $100 [off a year's rent. WAhOOOO!!! ]; 50 = a month's rent [what's that? 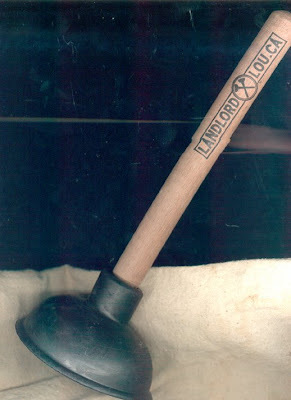 $12-15 per plunger (smells like and evangelical sandturd w/ baptism by . . . )]; but 500 of these fetish objects = a year's rent [dog love the compartment!] as if anyone (singular or collective) so actually find that meny of this plungers in fredtown . 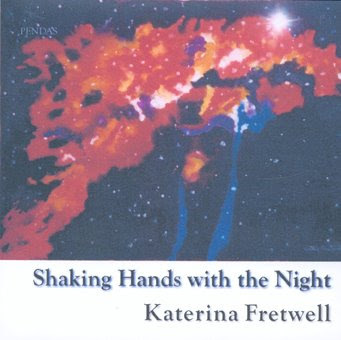 . .
sound: Elvis Costello Cruel Smile's "Almost Blue"
Tonight's show featured one Canadian poetry CD in its entirety: Shaking Hands with the Night (Pendas Productions by Katerina Fretwell. The first half of the show featured Ultraeye (Blue Orange Publishing) by Richard Rathwell. Second half of the show featured writer members of Fredericton's BlackTop MotorCycle Gang: Biff Mitchell, emcee; Joe Blades; Todd Arsenault; Vivian Unger; Yolande House; & Biffy himself. 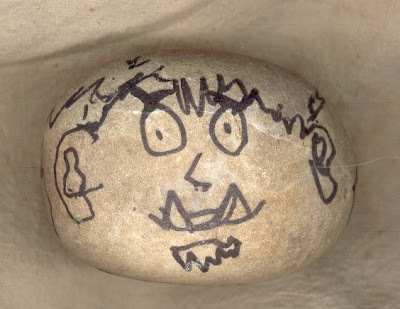 Found 10:48 AM, 12 July 2008 in the ground floor hallway of the Charlotte Street Arts Centre, 732 Charlotte St, Fredericton, NB before the opening of the Fredericton Small Press Fair:Summer Edition. 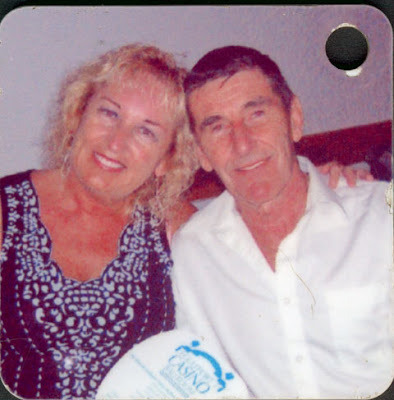 Photo was taken at, or with stuff from, Gulfport Casino, City of Gulfport, Florida, USA. 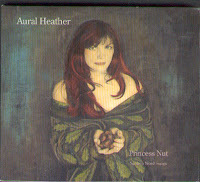 Ashes, Paper & Beans last night featured three Canadian spoken word or poetry CDs. Eddy", "Three Blocks West of Wonderland", "Window Seat", and "Habit". 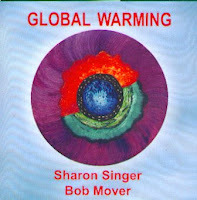 Second feature was the soon-to-be-released poetry and jazz Global Warming CD collaboration by Toronto poet Sharon Singer and musician Bob Mover: "Becalmed", "Global warming", "carny Boy", "Rock-a-Bye Baby", "Degrees of Closeness", and "Sea Creatures". Third was a sound poetry and music collaboration. SoundSpoke: Anne Anglin, Bill Gilliam, Penn Kemp, Rick Sacks CD The Late Nite Lingue Lounge, Distillery Jazz Festival, Toronto, May 2004 (Pendas Productions, 2004) with "from Bone Poem", "Side Kicks", "The Shadow", "Side Show", and "Declination". Show ended with the short poem "When Summer Comes" by Lem Snow from Tall are the Tales: Newfoundland Stories and Recitations (Pigeon Inlet Productions). General public admission is free. This location is not yet wheelchair accessible. The Summer fair has been co-ordinated to coincide with the revived Maritime Writers' Workshop, 6--12 July. For MWW info, contact: UNB College of Extended Learning, ph (506) 452-6360, ahowells@unb.ca MWW registration: ph (506) 453-4646. Organizers revue ellipse mag and Maritimes Arts Projects Productions. Exhibitor fees (including HST): tables $15 (full tables only). Contact (506) 454-5127, joeblades@nb.aibn.com to reserve tables and readings. 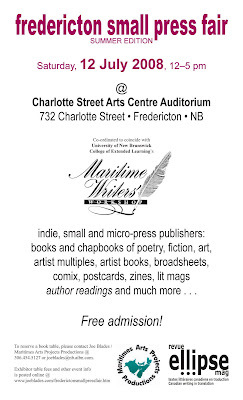 Payable, preferably in advance, to: Maritimes Arts Projects Productions, Box 596 Stn A, Fredericton NB E3B 5A6. Free things (info, publication, calls for submissions, etc) can be mailed to the same address for distribution @ the fair. The fair itself will not undertake to sell anything for folks who can't make it, but if you can arrange for someone to represent you @ the fair that would be great! The Canada Day episode of Ashes, Paper & Beans started with Biff Naked's "Canadians" and ended with Verbomotorhead's "Fat Summer". The bulk of the show was a live interview-riff with Biff Mitchell on the upcoming Maritime Writers' Workshop, 6-12 July, and on things writing and arts related. 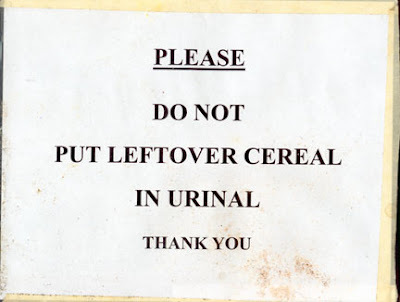 A real sign found loose, no longer posted, in one of the schools used to film DTTW II this past weekend. I'm afraid it says more about the elementary school's (lack of adequate) facilities than it does about the boys attending the school. Minds me of the saying in my hotel room in the Battery, in St John's, Nfld. the previous weekend. 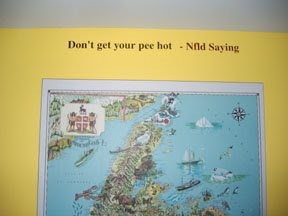 Every room had a Newfoundland place name on the door and a Newfoundland saying on a wall with one of these large maps. Very colourful and fun; educational for peeps not exposed to Newfoundland before. How's this one? 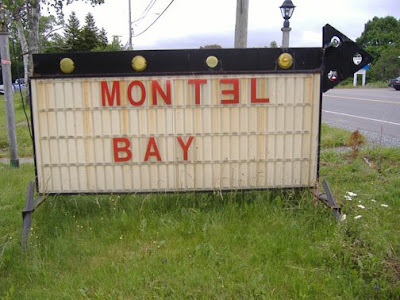 The roadside sign for the section of the roadside motel snoring I was put up on Friday night in Saint John, NB during filming of DTTW II. 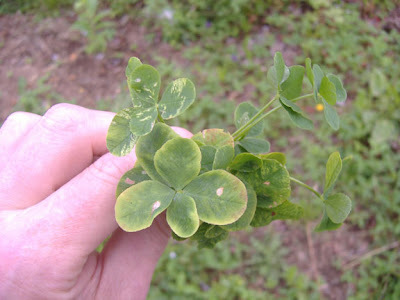 A posey of four- and five-leaf clovers found on the montel's lawn after I'd picked and eaten wild strawberries also found there.